Ocala, Florida — The Unified Drug Enforcement Strike Team (UDEST) was assisting a probation officer with serving an arrest warrant after officials learned that the probationer might be manufacturing methamphetamine. When the agent arrived on scene, he saw the suspect, Tiffany A. Chancey, 21, standing outside. According to reports, Chancey pretended like she did not see the officers and began walking away. When the agent instructed Chancey to stop because she was under arrest, she kept backing away. The agent then grabbed Chancey by her wrists, at which time she began screaming that the agent was hurting her and tried to pull away. According to reports, the agent then backed Chancey up against a house to gain control of her movements. The agent reported that he repeatedly told Chancey to calm down and relax, at which point she did. However, when the agent attempted to handcuff Chancey she quickly turned and pulled away from the agent. The agent then escorted Chancey to the ground. According to reports, the suspect then placed her hands beneath her body and refused to put her hands behind her back. As the two were struggling on the ground, the house window directly above them shattered. The agent then pulled the suspect away from the broken glass. Once the agent was able to gain control of Chancey, two males ran from inside the house and into a wooded area. A search of the home yielded plastic bags filled with meth oil, sulfuric acid, Coleman camping fuel, needles, meth pots, and other drug paraphernalia used for manufacturing methamphetamine. The owner of the home was contacted, which turned out to be Chancey’s grandmother. The grandmother stated that she had rented the house to her granddaughter four months ago and that, she paid all four months in advance with cash. The grandmother had no idea her granddaughter had turned the property into a meth lab. Agents recovered 263 grams of meth oil from inside the residents. Chancey and her boyfriend, Skyler Sandifar, 27, were both arrested. 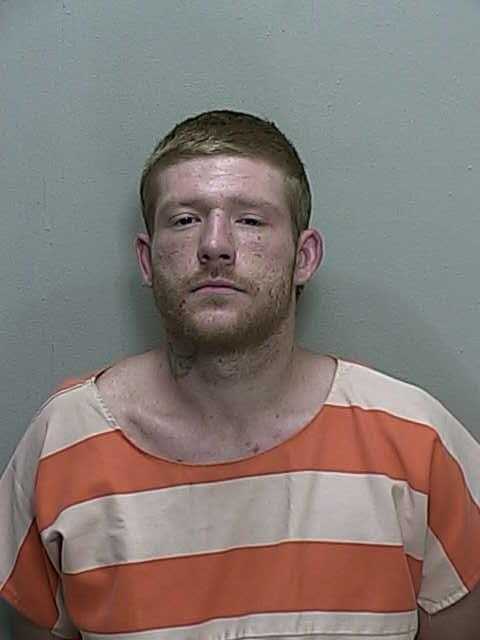 Chancey was charged with Trafficking in Methamphetamine, Resisting Arrest, Off Bond/Failure to Register a motor Vehicle, and Off Bond/Driving While License Suspended. She is being held on $11,500 bond. Sandifar was charged with Violation of Probation for Grand Theft and Trafficking in Methamphetamine. He is being held without bond. The agent suffered a laceration to his head as a result of the struggle with Chancey.